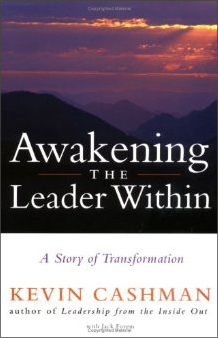 In Awakening the Leader Within, Kevin takes readers on a transformative journey to a new way of leading and new way of living. 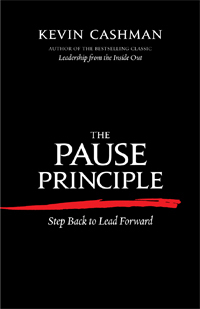 This book is about growth and discovering meaning in our lives by aligning our personal and professional goals and aspirations. 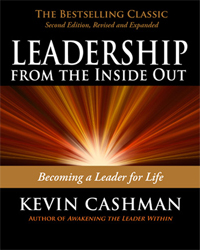 Cashman draws on his renowned executive coaching techniques in order to lead the reader to self-discovery. Based on the premise, grow the whole person to grow the whole leader, this is an inspirational and interactive story that centers on Benson Quinn, a CEO facing a deluge of personal and professional crises. As Quinn confronts the defining moments of his life, he and the reader learn valuable lessons about authentic and purposeful leadership, applicable at home as well as in the boardroom. At a time when issues of ethics crowd the headlines, causing many leaders to question what drives their decisions, the practical applications of this book are more-timely than ever. —Tom Debrowski, Executive Vice President, Mattel, Inc.